Do you have clunky website administration or an awkward client database? We can help by leaving the arty stuff to graphic designers or your own fertile imagination and do the boring techie bit behind the scenes to help you get the most out of your website. After all, you know what you want to put on your website better than anyone else. We can also help you to store and access client information in the way you want it - not how someone else thinks you should do it. Existing clients include, Dunfermline Athletic FC (www.dafc.co.uk ), the membership database for curling’s governing body (www.rcccmembers.org) and Q Guild of Butchers (www.qguild.co.uk) so you can be assured we already have a proven track record. 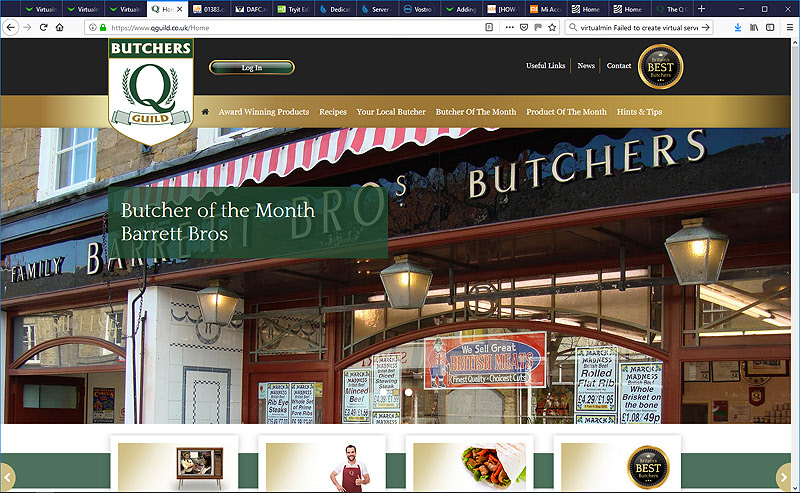 We were asked by the Q Guild of butchers to adapt our web administration system to suit their website. They had seen and used the suite on Dunfermline Athletic web site, https://dafc.co.uk. That site has over 8,000 story items and over 60,0000 images plus items related to a fixture list. It is managed by several administrators. Of course we were delighted and managed to go from initial concept to implementation within 5 weeks. Get in touch for a chat and we’ll get your problems sorted out in weeks not months.